In the 18th century women represented a significant proportion of china dealers often combining this with second hand clothes dealing which could be bartered. In the 20th century women were the first gallery owners and promoters of studio ceramics. Particularly notable was Muriel Rose who ran the Little Gallery. Women potters and educationalists were also in the forefront of writing books on pottery. Dora Billington was an influential teacher who was head of ceramics at the Central School from 1925 through till the 1960s. her first book, The Art of The Potter  predated Bernard Leach’s The Potter’s Book and was very successful. 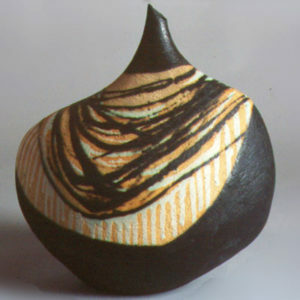 In 1955 Muriel Rose wrote one of the first books on the history of studio pottery.